Before I go any further I’ll explain what Sony are trying to do with their camera line up because it confuses the best of us. They recently abolished the Nex brand in favour of unifying everything as Alpha in their interchangeable lens camera systems and then there is RX for fixed lens cameras and QX for the smart phone add on lenses. Generally the higher the first digit number the better the camera but the bigger the actual whole number the lower end it becomes e.g the A99 is better than the A77 and both better than the A58, then you have the likes of the newly announced A5000 which is a “Nex” form E-Mount camera which replaces the Nex 3 series. 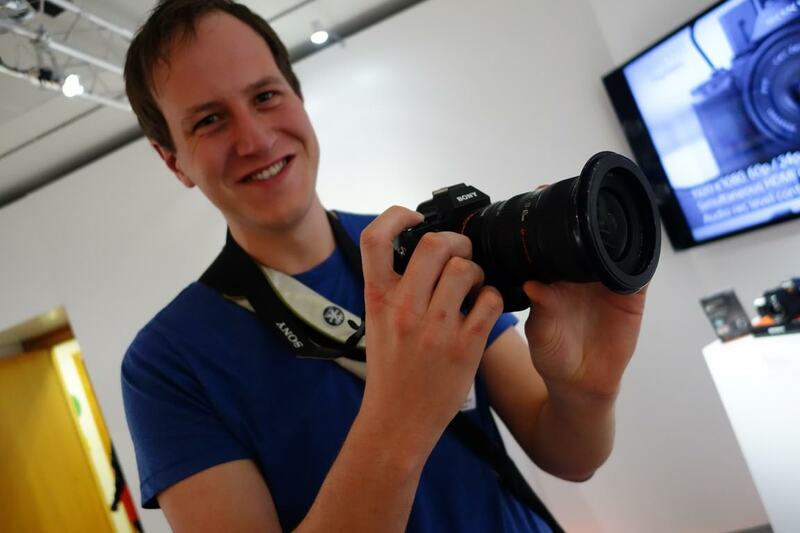 You have the RX1, the cream of the fixed lens cameras with the RX100 behind. Does that make sense? I think it’s confusing now, but as with any rebranding the change can be long and confusing but clear at the end. Finally, why has everything been branded Alpha? Well the idea is it all becomes unified because you can use any lens from Sony either natively or via an adapter on the E-Mount cameras. But e-mount lenses can’t be used on A-Mount cameras. And the not yet released Carl Zeiss 24-70mm attached to a A7R, needless to say they kept a close eye on me with this lens so I didn’t accidentally walk out with it. I have to say, the lens was a little bigger than expected BUT it felt very well balanced and on it’s own it was very light despite its metal construction. I didn’t take any test shots mainly because it’s for me not real world results, handheld at high ISO as this isn’t my shooting style. 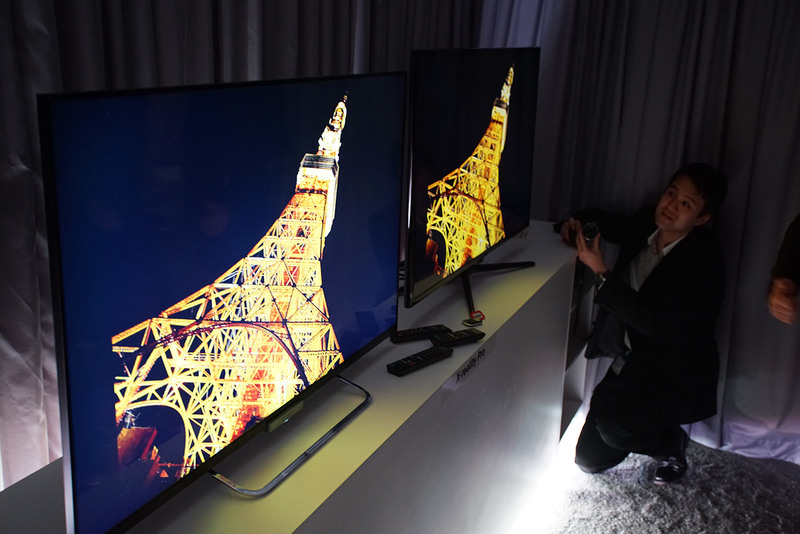 Next we spoke about the newly announced at CES, A5000. This is the entry level compact camera system due for release, taking e-mont leneses with an APS-C sensor of 20.4mp priced at £429.00 with lens. Unfortunately, in the low light and the rush of passing the camera around I wasn’t able to get an image of the camera itself (though you can see it in the background of the A7 image) that was in focus. The version on display was finished in white but you can also get it in black or silver. You can see more about the camera here. 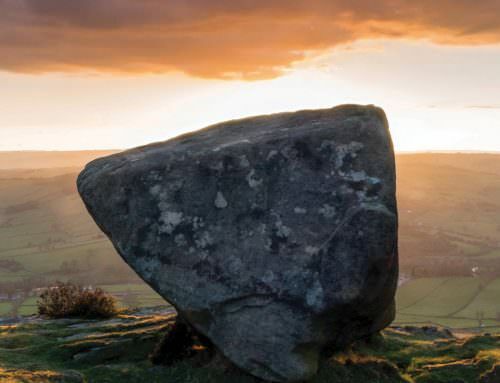 It certainly shows perhaps the direction which cameras might be going. 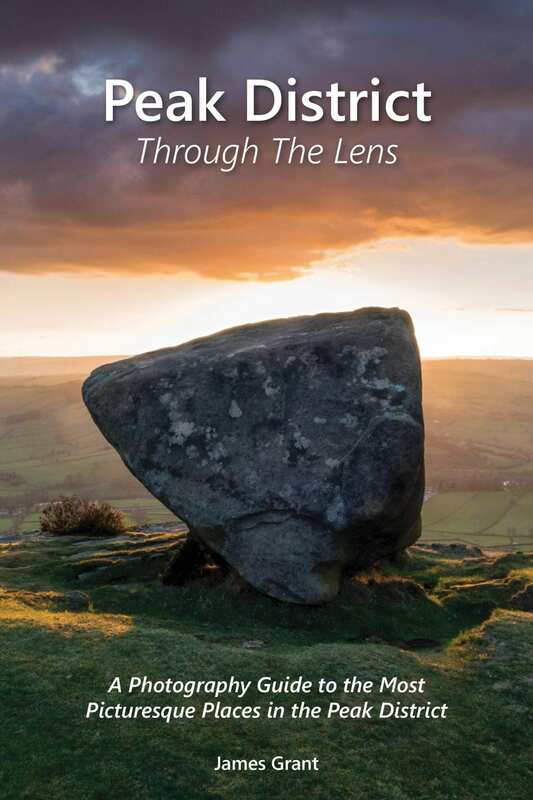 In a world of smart phone cameras and a diminishing compact camera market, even the higher end cameras now need to have app’s on especially with social media interaction. People such as myself will use them less so, but it’s nice to have them there. The next image showcases the lenses out of some of the fixed lens camera in their raw form. Behind you can see a sensor size comparison board. From the right is a compact camera sensor, leading to the 1 inch sensor found in the RX100/RX10, then APS-C which is found in most traditional DSLR’s such as the A5000/A58 and then a full frame sensor which is the cream of the crop found in things like pro cameras such as the A7 and A99. 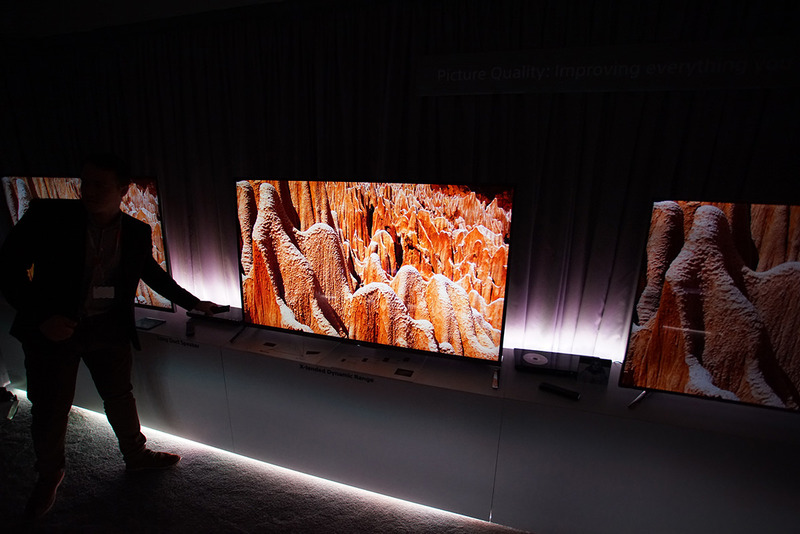 Basically the bigger the sensor, the better quality the image you’re going to get especially at high ISO’s as the pixels are less squashed up creating less noise. 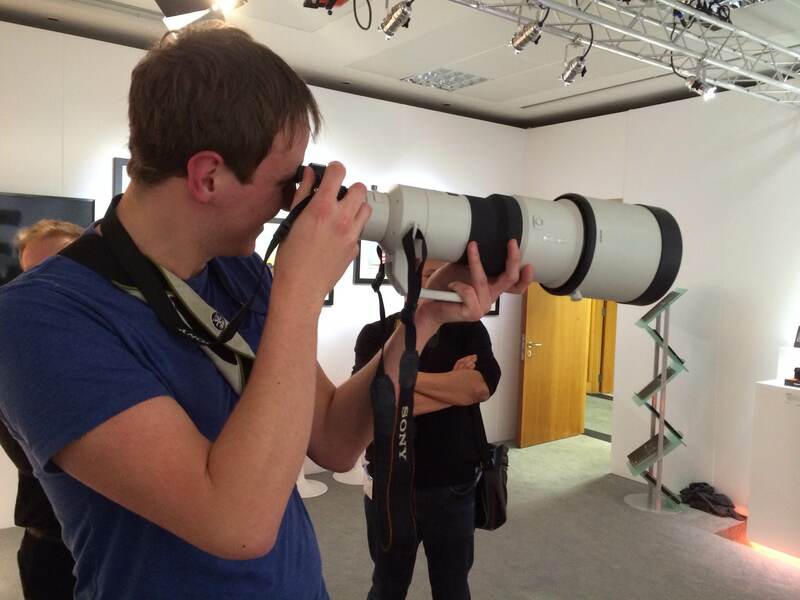 Finally, they asked if I wanted to try a 500mm f/4 lens with my own A7R adapted with the LE-A4, who was I to say no!? I I have to admit, I did it more for comedy value than anything. I would never need a 500mm lens but it does demonstrate the versatility of the E-Mount system that can mount almost any lens in the world with the appropriate adapter. 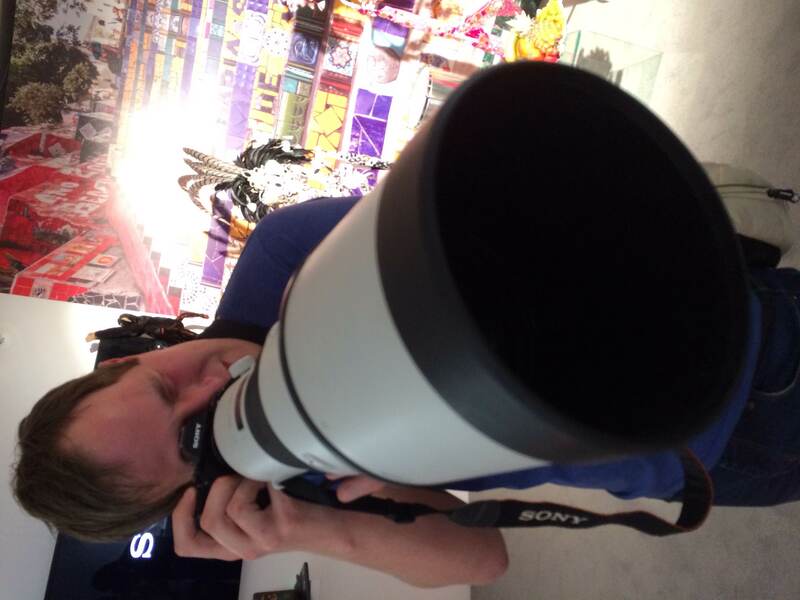 Oh also, that lens…£15k…eye watering, especially if I had dropped it! There was also the unveiling of the FDR-AX100, again I didn’t manage to get an image of it. I got too caught up and being the end of the evening it was a little rushed. 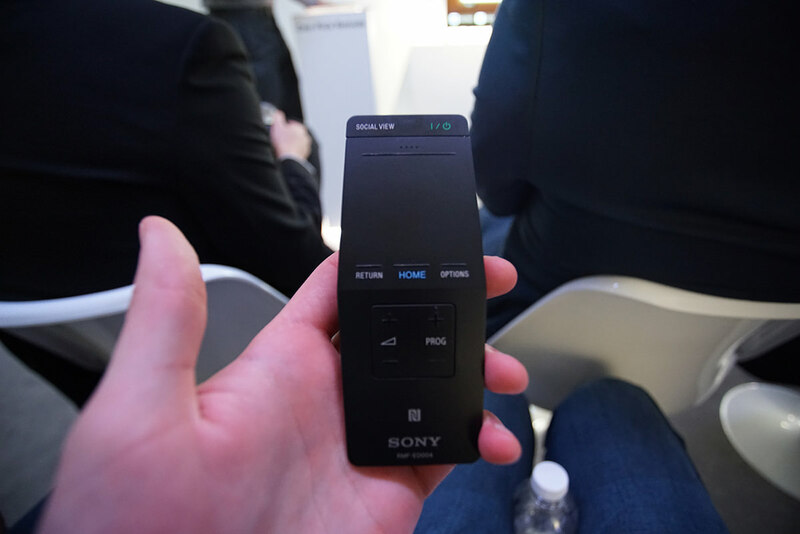 But basically it’s Sony’s new 4k consumer camcorder, with a 1 inch type sensor (as used in the RX100) it gives 4k videography in a small package. You can see more about that here Its massively smaller than their previous effort and we were lucky enough to be one of the first in the UK to see it. 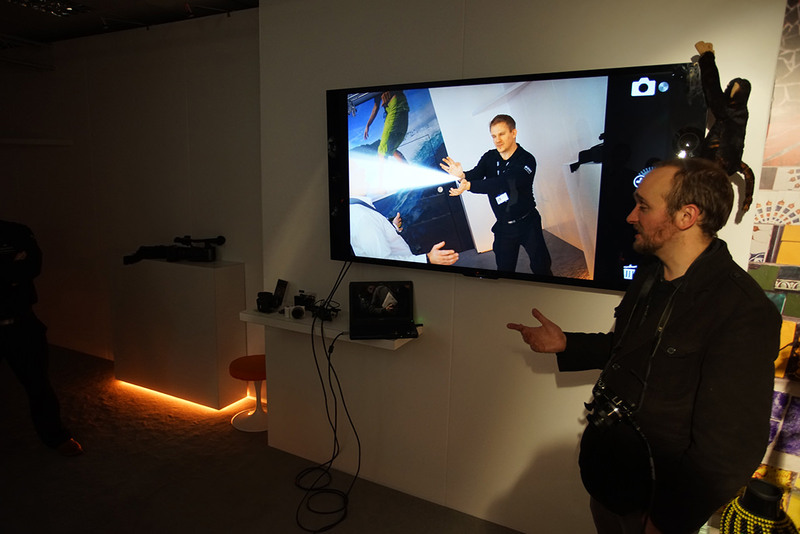 So it was great to see the digital imaging side of things and get let loose with some of the products. It’s nice to see Sony’s vision and direction plus their obvious commitment. 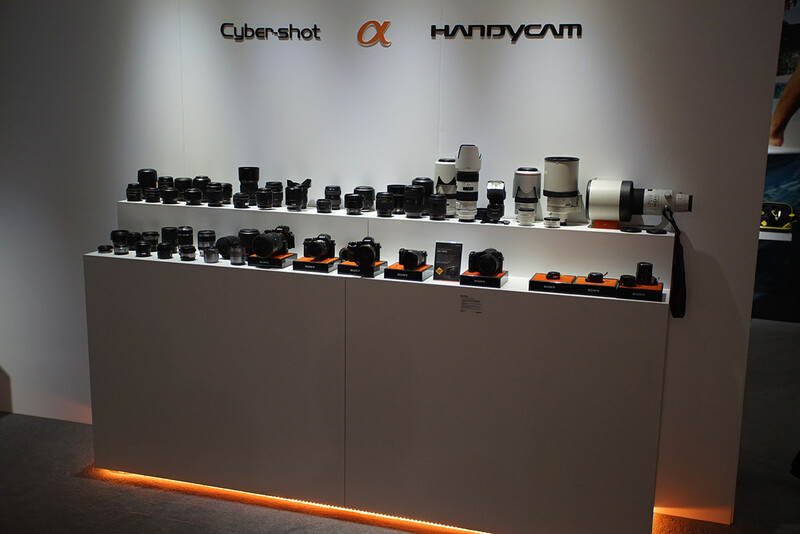 A few years ago, most would have said Sony didn’t stand a chance against Canon and Nikon but it is quickly becoming one of their biggest divisions. I did stay around afterwards skipping the sound section, to talk to some of the imaging experts to pass on some of my views (and criticisms), plus got asked to do an interview on camera….which hopefully won’t surface! Anyway, next on to TV’s, I like my TV’s but I don’t know LOTS about them so it’s not going to be as in depth as above and I can’t explain a lot but I’ll do what I can. 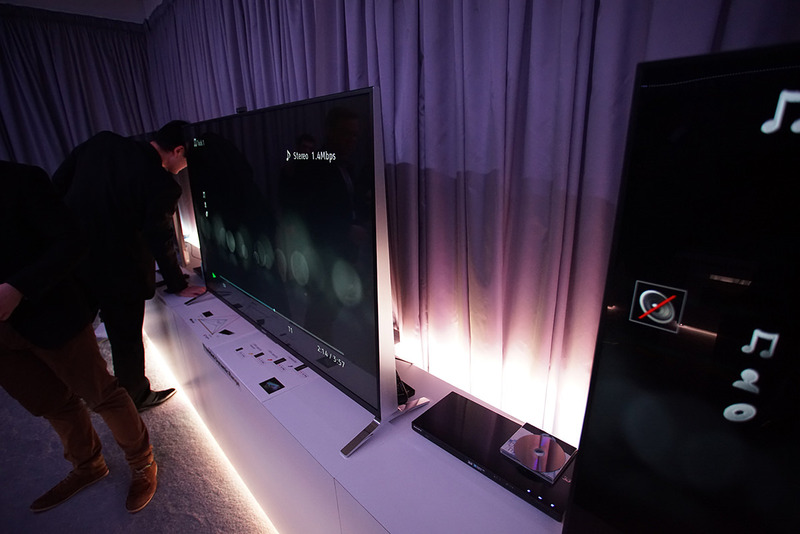 This was the first time I had seen 4k tv’s, but I had heard they were almost like real life in terms of detail etc (can’t wait for 4k monitors). 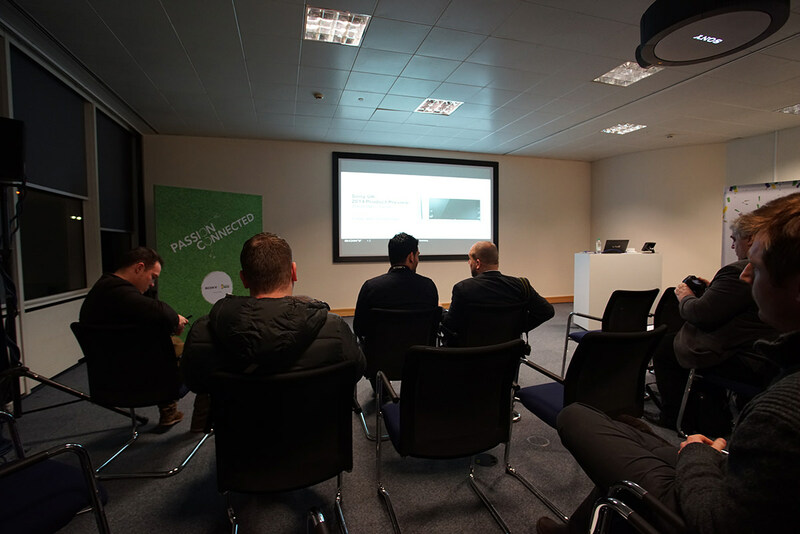 I sat in the atrium prior to the event and watched some of the sample TV’s which had some amazing footage on (quite photography and videography orientated) to show off the displays and the level of detail is amazing. 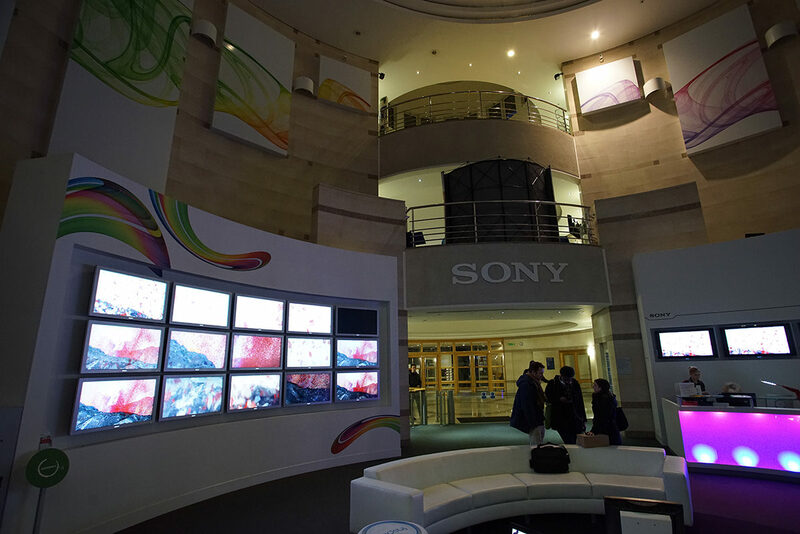 Sony are quietly shifting away from 3D and concentrating on this new media in the years to come. 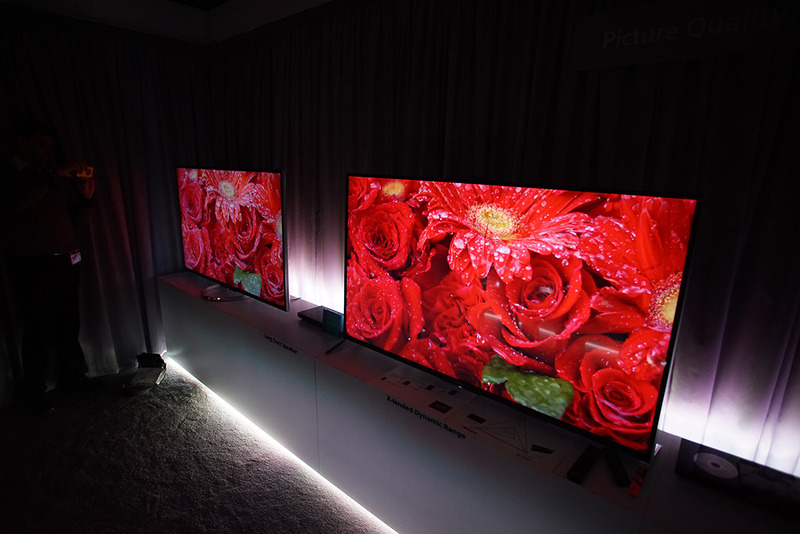 First off we went into a darkroom to compare TV’s which included 2014 & 2013 Sony TV’s plus competitors models. 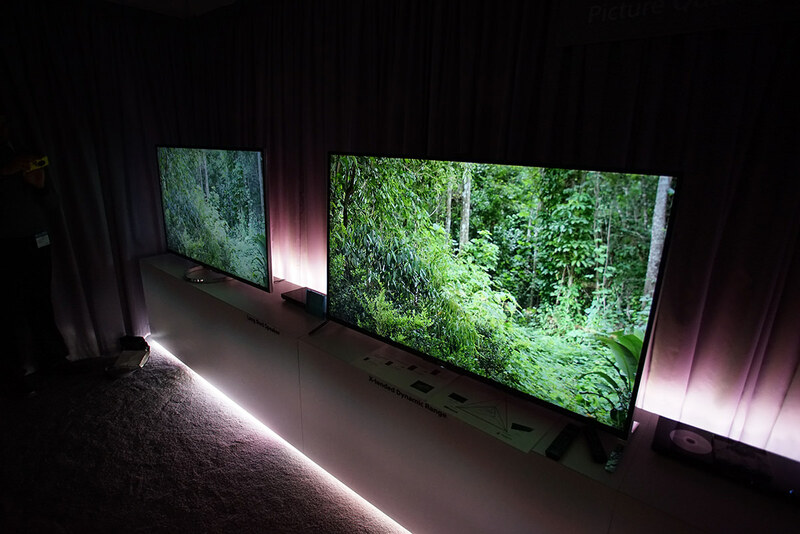 The above two show off Sony’s 2014 model on the right compared to the 2013 model on the left, show casing the improvements in their dynamic range engine to achieve a brighter image that is less washed out. 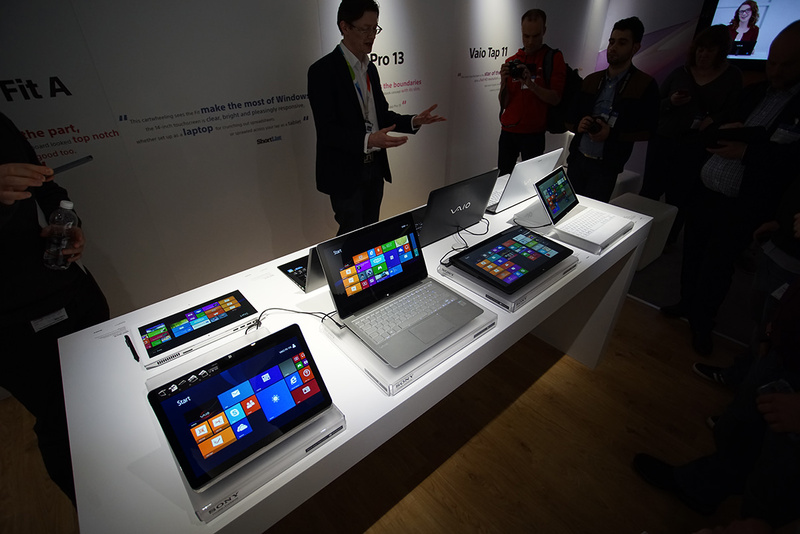 The above shows Sony’s on the right vs a competitor on the left. 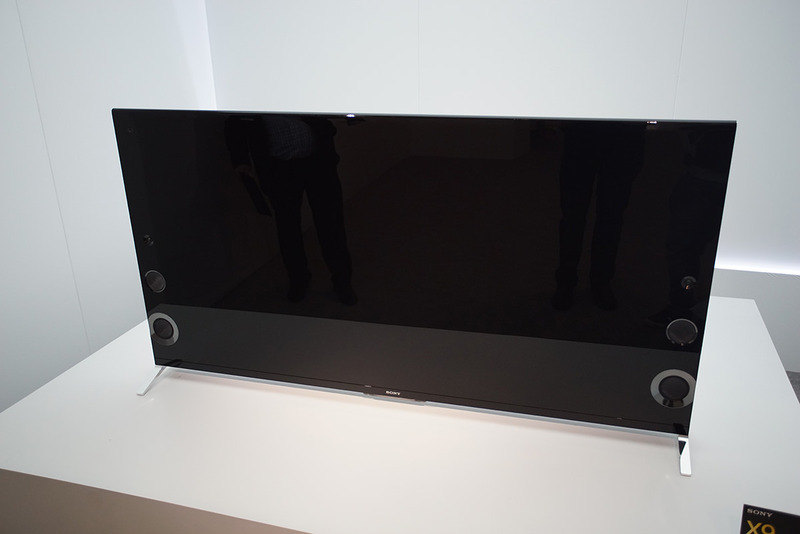 Sony are now also focussing on sound a lot as a whole package with TV’s and have taken a rather radical move. 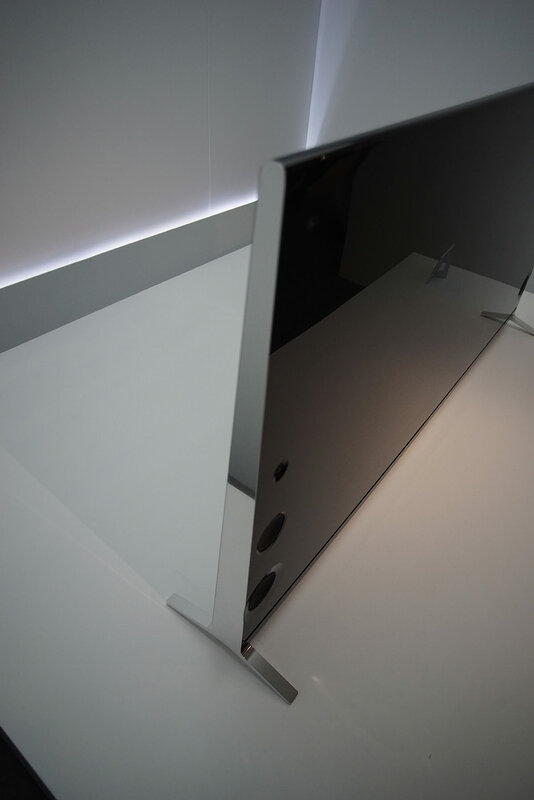 In a world where thin LED tv’s reign resulting in poor speakers Sony have decided to change their design of the TV’s to wedge shapes, thick at the bottom and thin at the top. 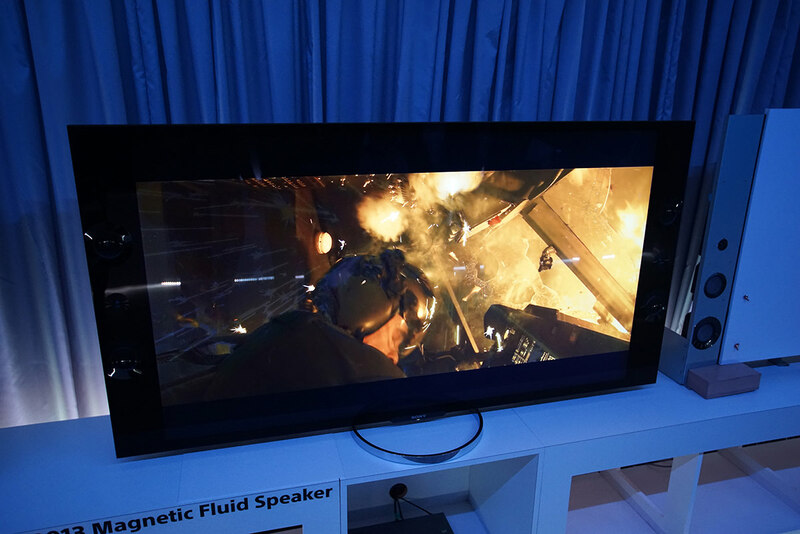 The whole TV is much thicker but allows space for some proper speakers to be put in. They actually still look very elegant when on a stand but I’m not such a big fan of them being wall mounted as they hark back to the old days of thick wall mounted plasmas (the kind you see in shops to advertise etc). 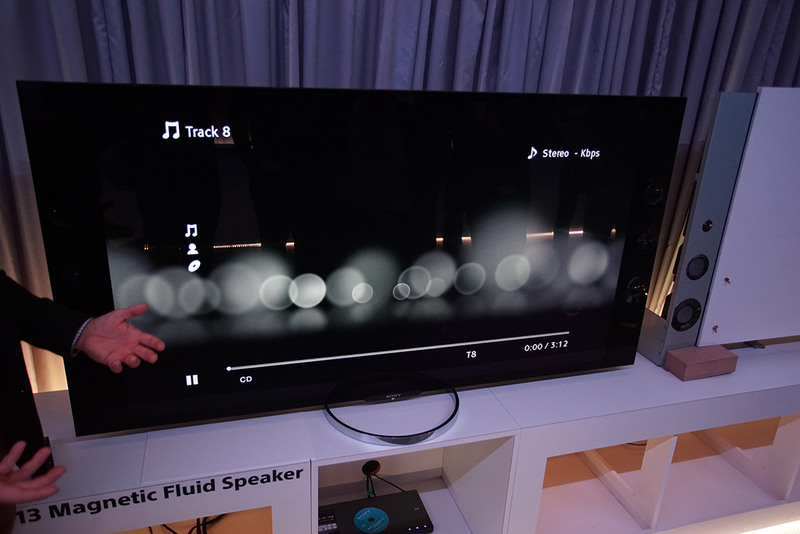 The benefits are clear though, with deeper, richer sound and even built in subs. 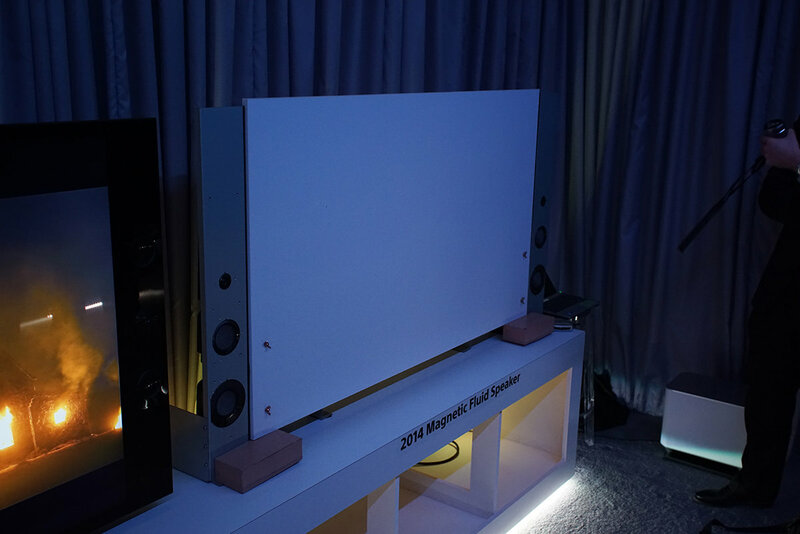 The higher end TV’s such as the X9 now have a thing called magnetic fluid speakers in them, which are high end speakers for a TV allowing truer sound that fills a room. We did some demonstrations of sound including a mock up 2014 X9 with no screen to focus just on the noise. I was particularly a fan of the front facing speakers, the reason behind them is that the sound is more directional but personally I just preferred the look. One thing I will say though, at this price point most people will perhaps have a dedicated 5.1 system. 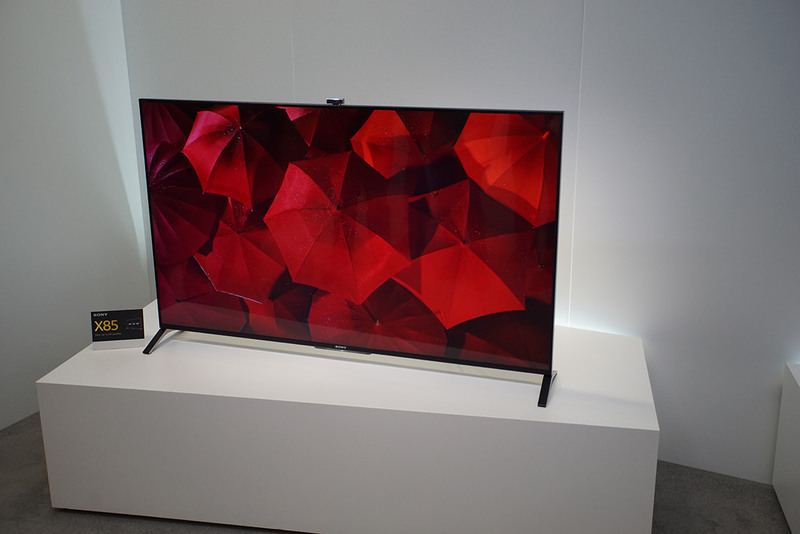 Oh yeah, to the price point, the X9 is a 4k TV with a RRP of £4.5k! Ok, not as much as that lens earlier but still hefty and it may be a few years before us mere mortals are enjoying 4k in the comfort of our own living rooms. 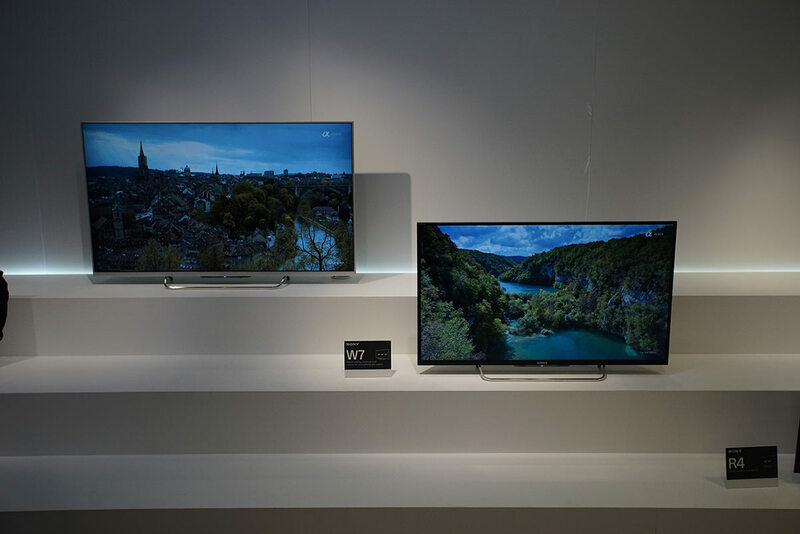 Also, we have a few more shots show casing the other TV’s on offer above. James, what a brilliant event to get an invite for but I would be so struck down with G.A.S I would need oxygen lol! 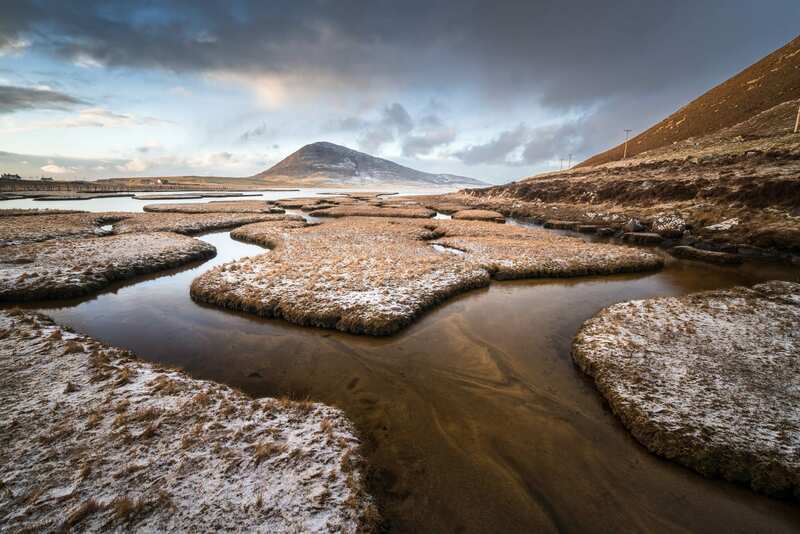 I have just bought myself an RX100 and it is the best small camera I have ever owned. I did consider the mark 2 but couldn’t justify the extra cash as I have also just purchased the new Sigma 24-105mm f4 (Canon fit) and the Sigma dock so it has been an expensive if exciting techie month! I have read a few reviews of your new camera and am mightily impressed. 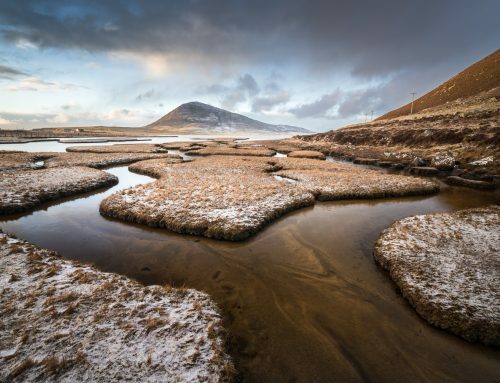 It is great to see Sony support their cameras with such a large choice of lenses too. 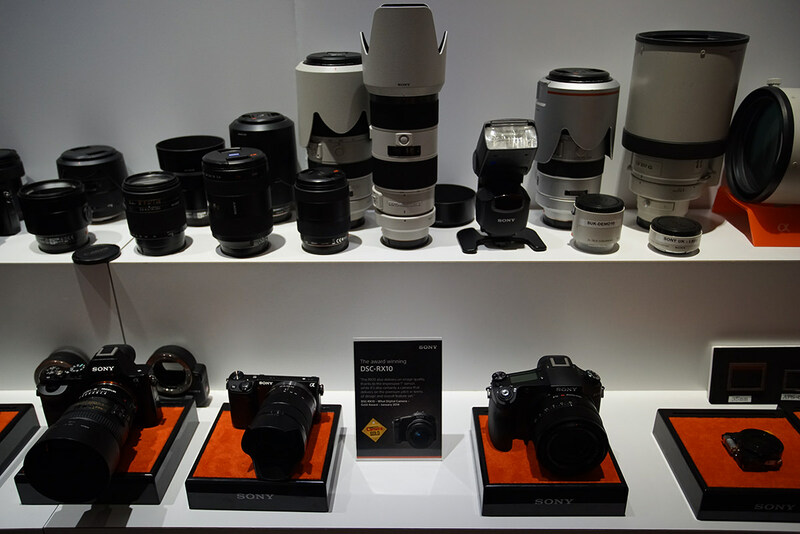 How do the Sony lenses compare against Nikon/Canon as far as prices are concerned? Are there any “must have” lenses that you are looking to invest in? 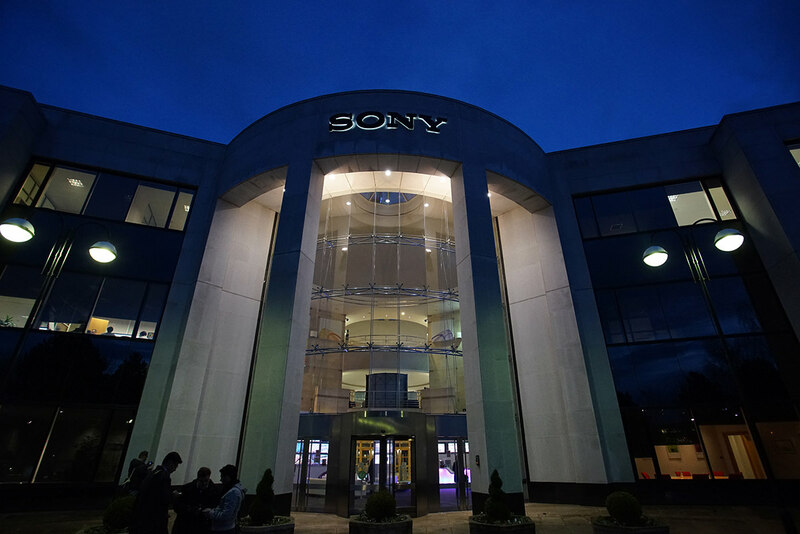 I bet there is some seriously secret squirrel electronics hidden away in Sony’s R&D dept, I expect they pay their staff very well to enforce their silence lol! Take care mate and looking forward to your next blog post! I’ve heard so many good things about the RX100. I’ve often been tempted myself but ultimately know it wouldn’t get much use and I’d miss the viewfinder. 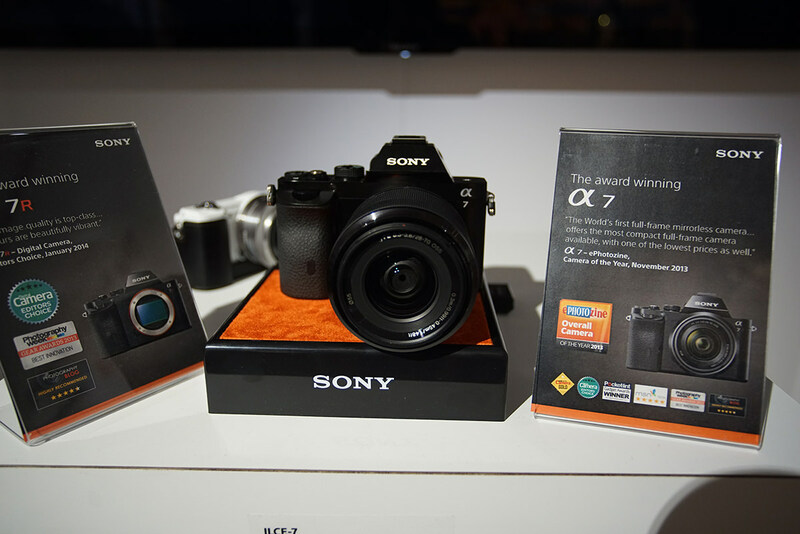 Perhaps I shouldn’t moan having something as small as the A7R. That Sigma also has amazing reviews, so hopefully you will like it! Sony lenses in either E or A mount tend to be slightly more expensive than Canon and probably a litte in line with Nikon. Second hand they definitely command more and I’m surprised every time I look at Canon lenses to buy. The E mount lenses are also more premium, but they’re metal and also small so a lot of engineering goes into them and I think a lot of people forget that. 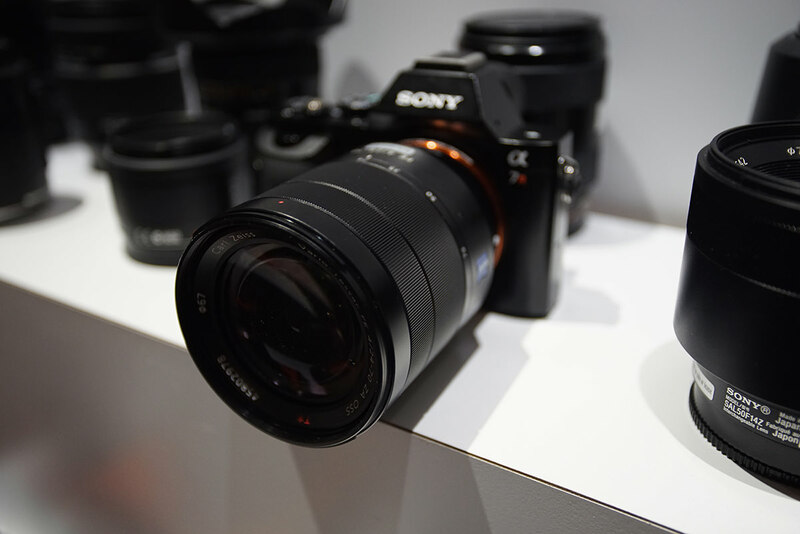 I’ve got my Zeiss 24-70mm on the way but apart from that not really. 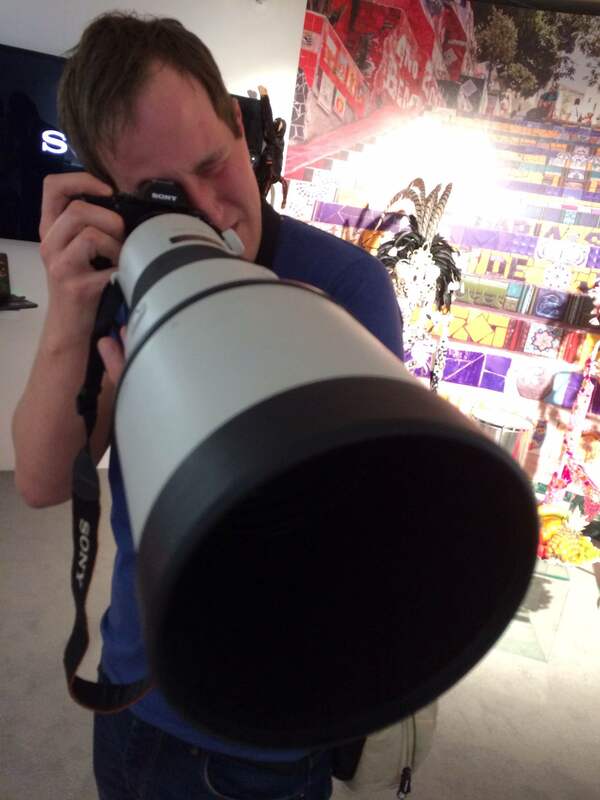 I don’t have any specialist lenses etc and they don’t do a tilt shift lens. I’ll be looking to get a Canon TS-E eventually though, so I guess thats a great thing about the metabones. I have heard nothing but glowing reports for most Zeiss glass and will one day treat myself! I bet you are like me and stuck inside listening to the storm outside. I shall be glad when some decent weather finally arrives and I can get out properly. 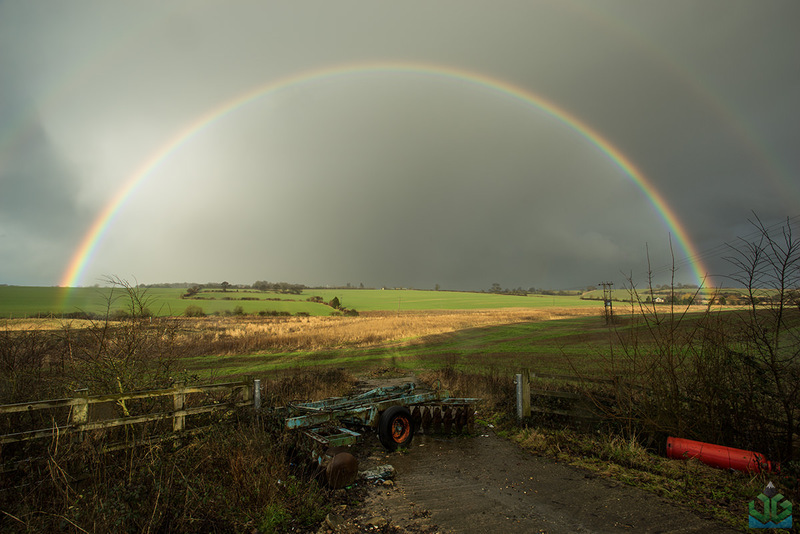 In the meantime I am trying to get to grips with Lightroom 5 as my photos were everywhere! At least they are on the same drive now haha. Take care mate and stay dry!